Raise the anchor and ready the men... 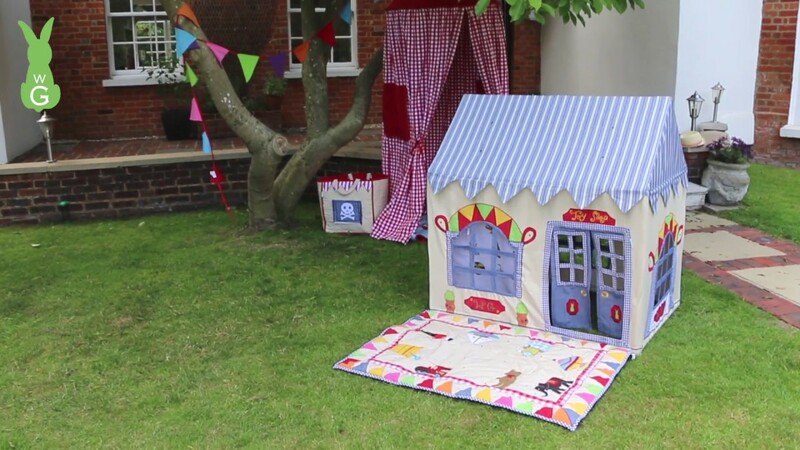 The New Pirate Shack Playhouse by Win Green is fabulous kids bedroom accessory. With an embroidered compass, friendly parrot and chest of bejeweled treasure, our Pirate Shack sets the scene for your little pirates to embark on a swashbuckling adventure. There are also matching floor quilts and other accessories available in this range.